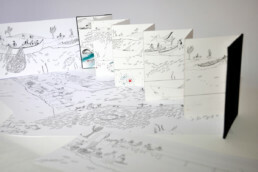 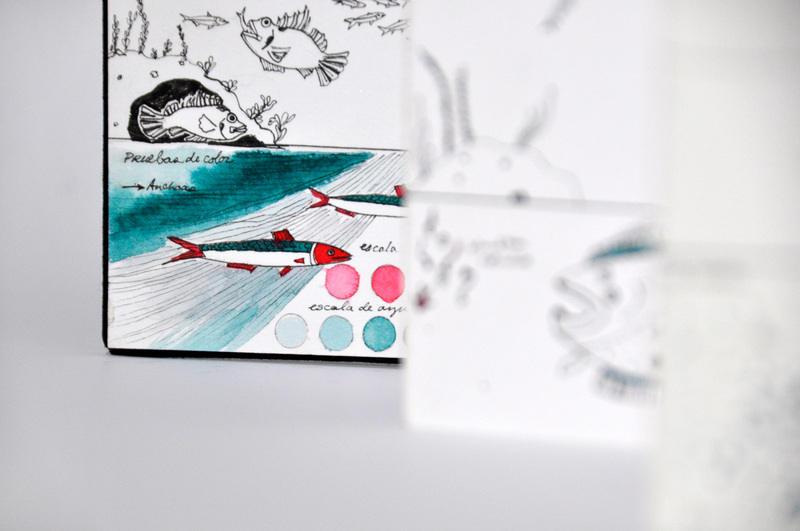 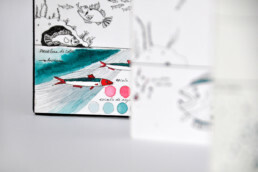 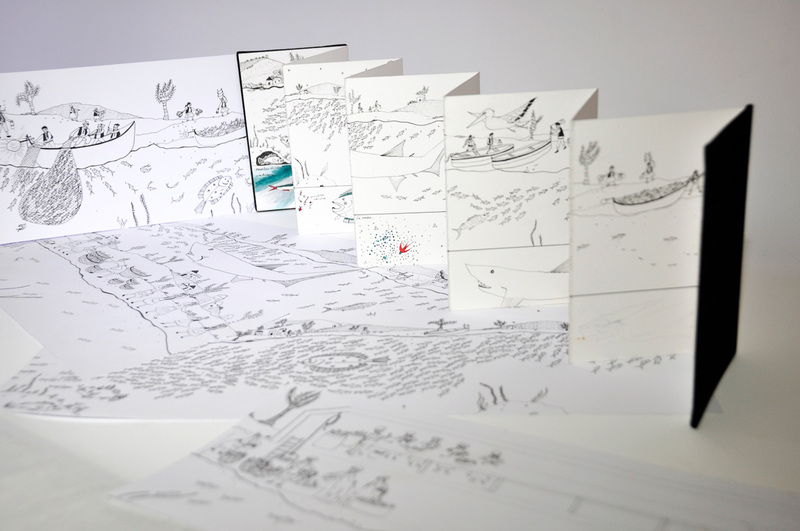 Following my research, I began a panorama book illustrating the life cycle of the anchovy. 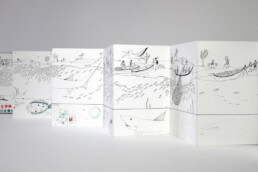 In the book I also illustrate how it was and is fished, as well as how it is preserved and consumed. 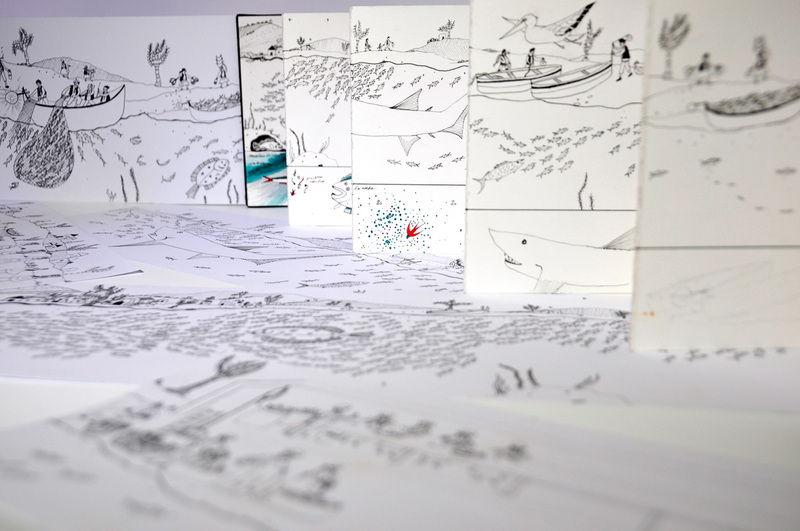 The work is still in progress.